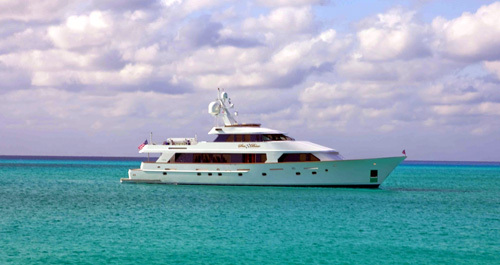 Luxury motor yacht AFTERGLOW is a 38.4m luxury tri-deck vessel, launched by the US yard, Christensen Shipyards in 1992. 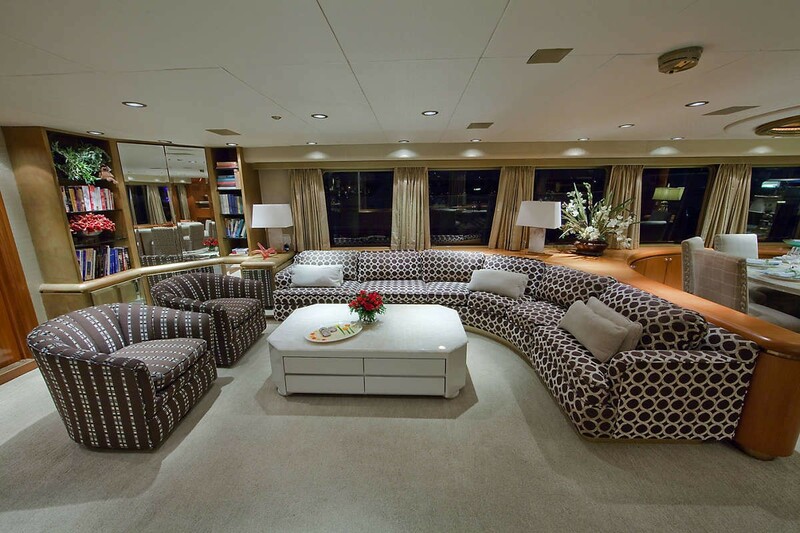 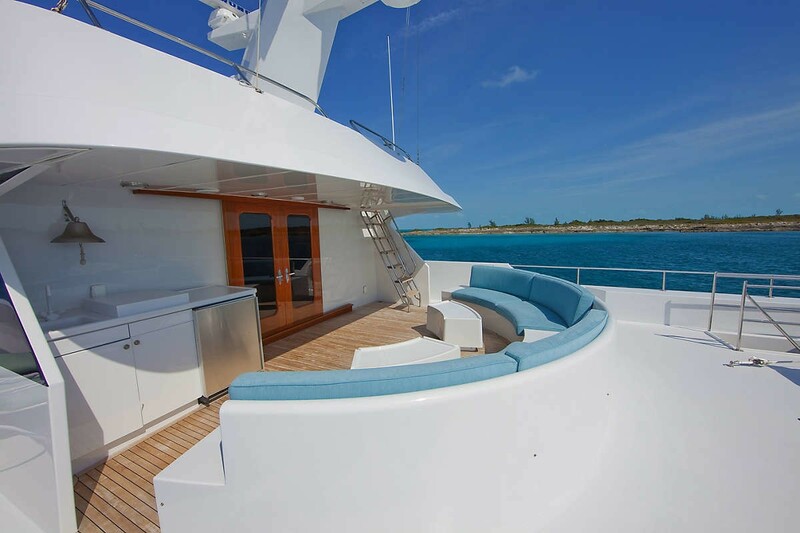 With the last refit in 2011, the Sea Bear superyacht features naval architecture by Howard Apollonio, Glade Johnson and Ed Monk Yacht Design. 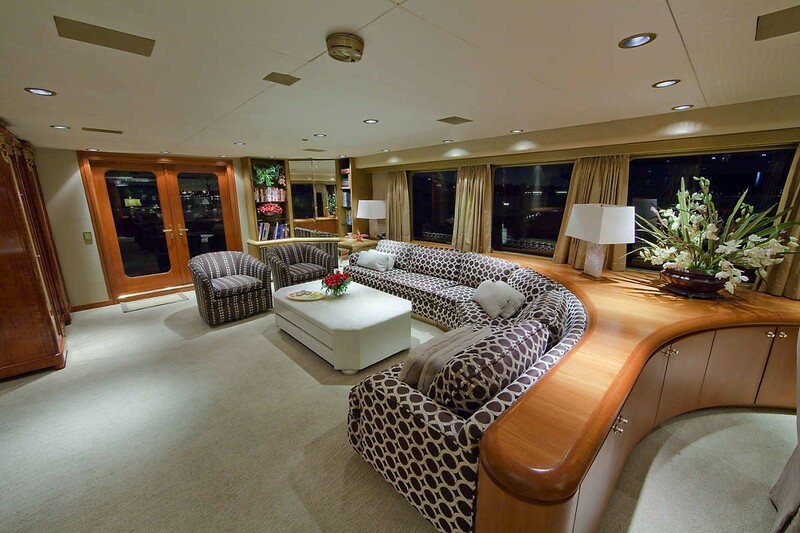 Her lovely interior as well as styling are by Susan Puleo. 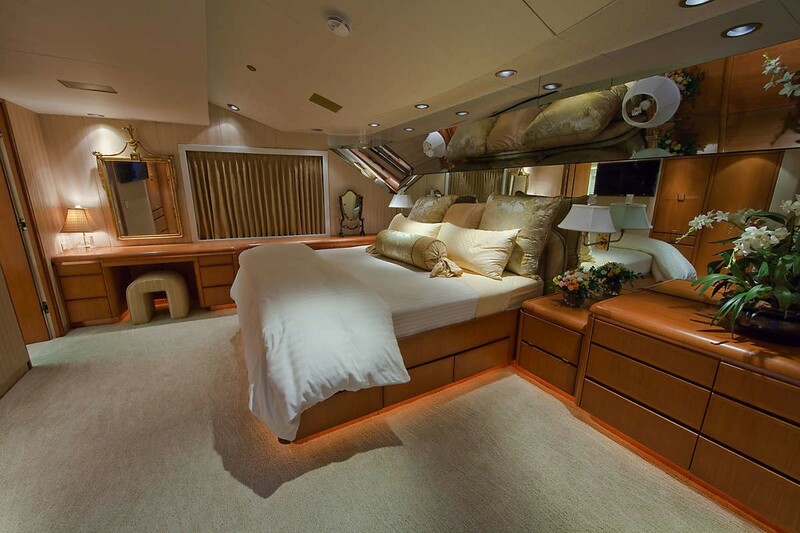 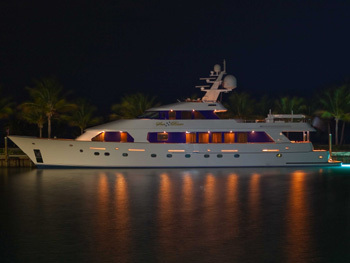 The spectacular 126´ superyacht AFTERGLOW can easily sleep up to 8 guests in addition to an excellent crew of 5. 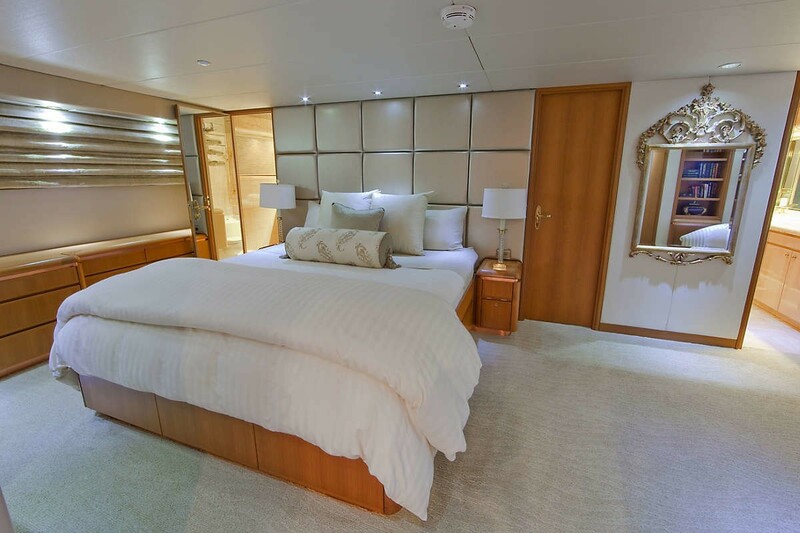 She offers 4 beautiful cabins, including an on deck master suite, another equally large VIP stateroom below, both with king sized beds, full bathrooms, closets as well as entertainment systems. 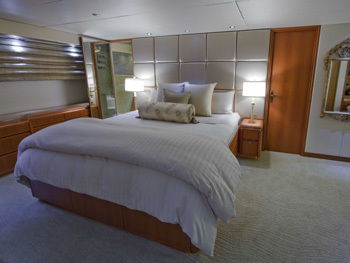 There are also two additional queen staterooms. 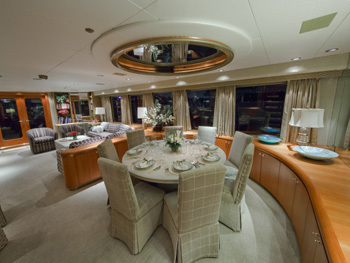 AFTERGLOW features high-end decor with the rich Brazilian Honey Teak cabinetry and the onyx-topped table and wetbar. 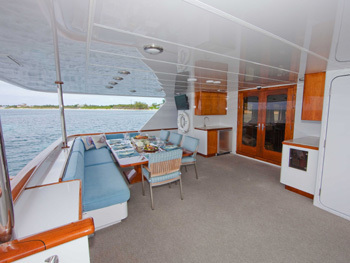 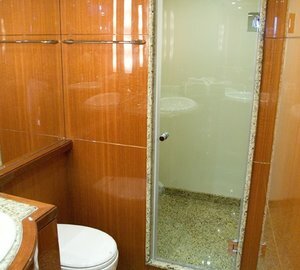 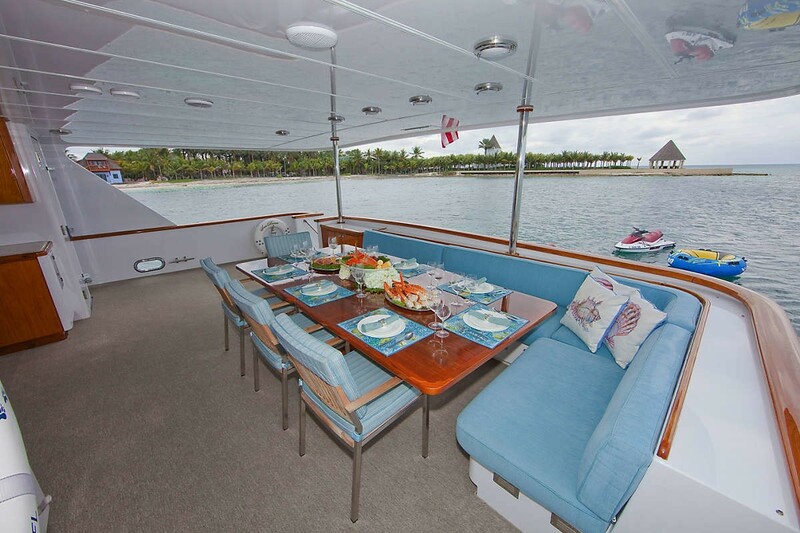 The refitted galley has granite countertops, updated cabinetry and appliances. 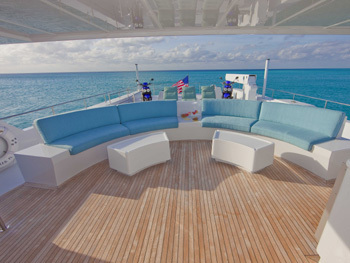 A wide range of water toys can be found aboard the Christensen luxury yacht AFTERGLOW, including a 20´ 2009 Novurania yacht tender, two brand new Waverunners, two scooters and a selection of other water toys. 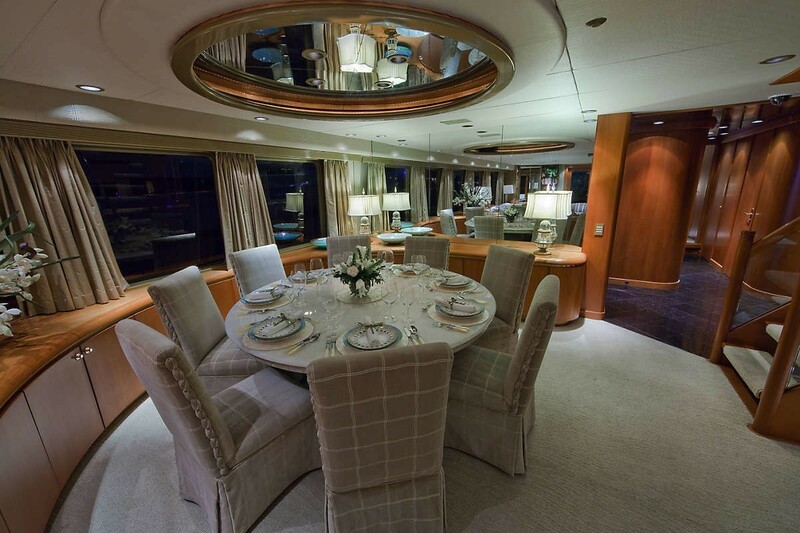 Twin Detroit 1292 1040 hp diesel engines are capable of propelling the 38.4m (126´) AFTERGLOW yacht to a maximum speed of 18 knots, with a cruising speed of 15 knots. 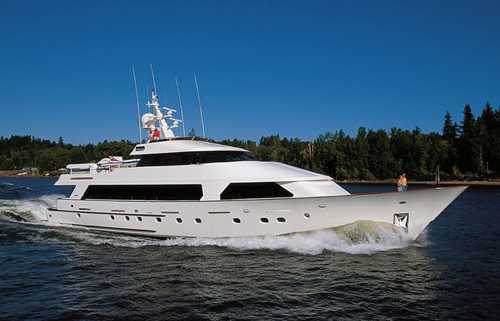 She boasts a beam of 8.17m (26´8´´) and a draught of 2.13m (7´). 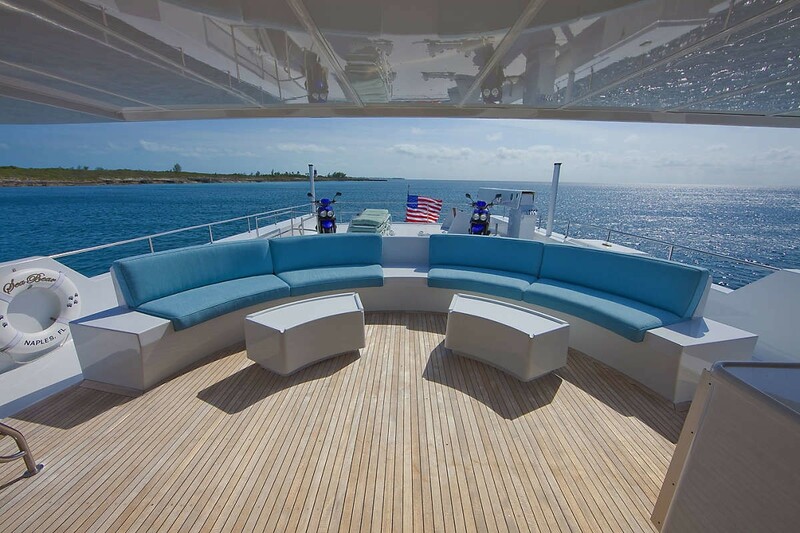 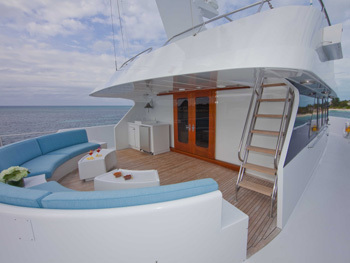 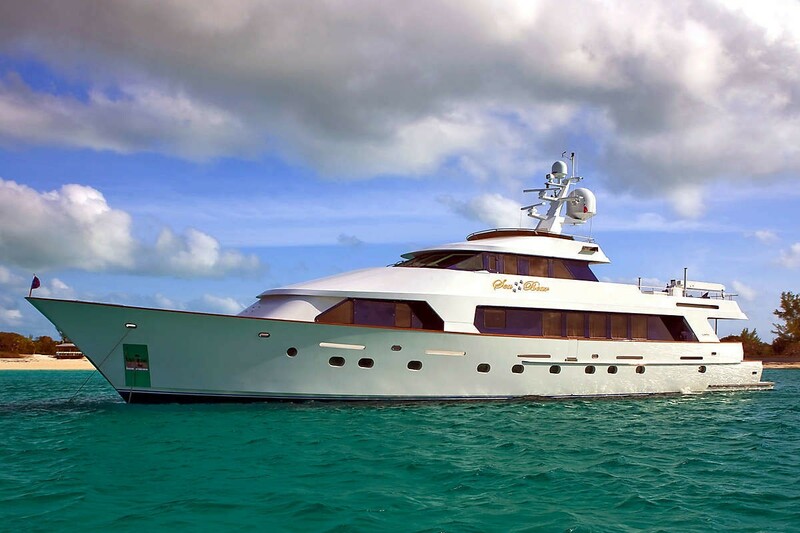 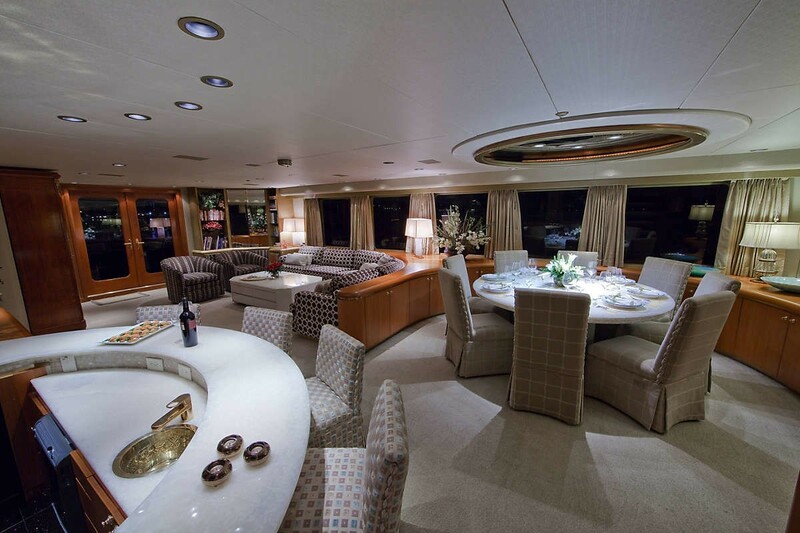 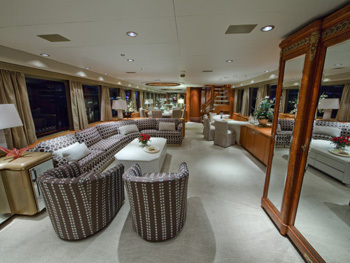 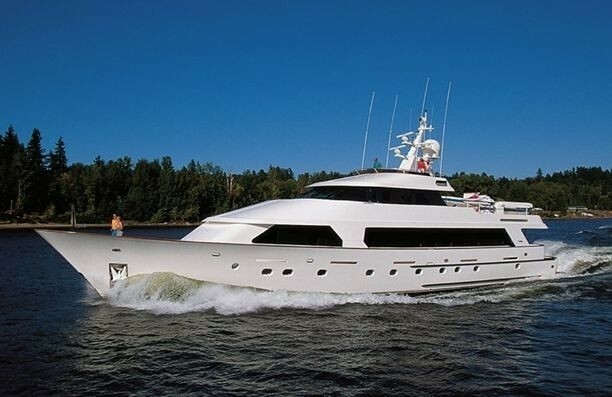 The amazing 126´ superyacht AFTERGLOW can comfortably accommodate up to 8 guests in addition to an excellent crew of 5. 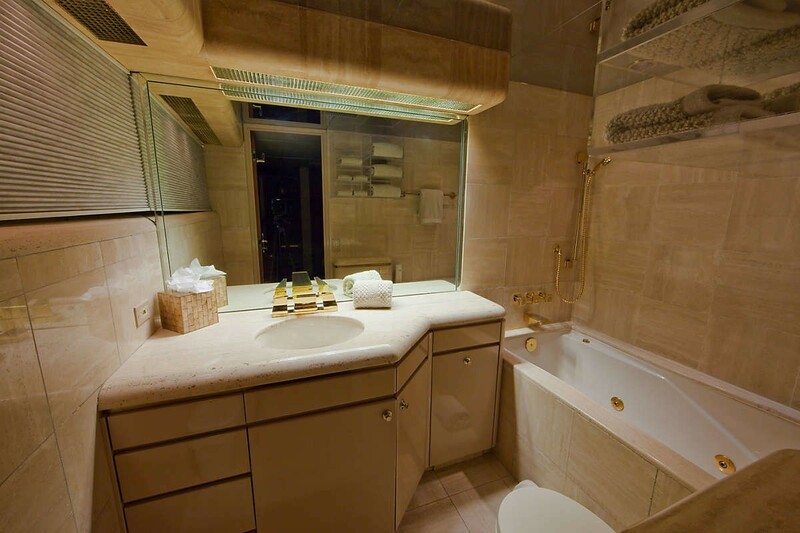 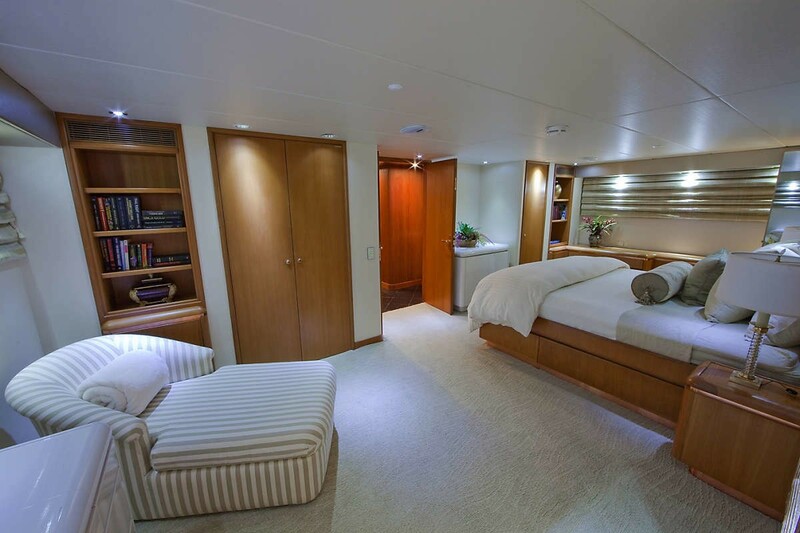 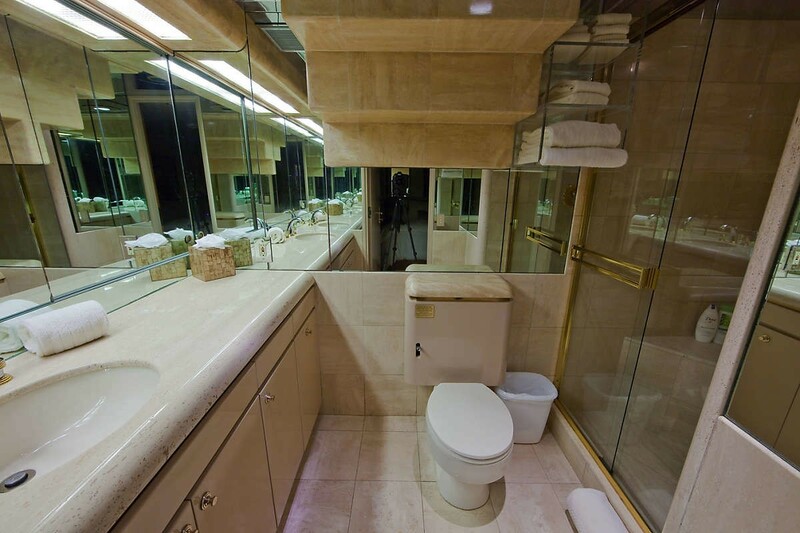 She provides 4 lovely cabins, including an on deck master suite, another equally large VIP stateroom below, both with king sized beds, full bathrooms, closets as well as entertainment systems. 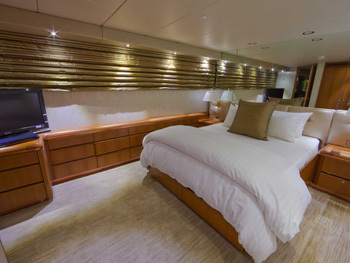 There are also two additional queen staterooms. 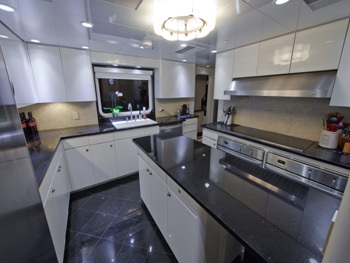 AFTERGLOW features high-end decor with the rich Brazilian Honey Teak cabinetry and the onyx-topped table and wetbar. 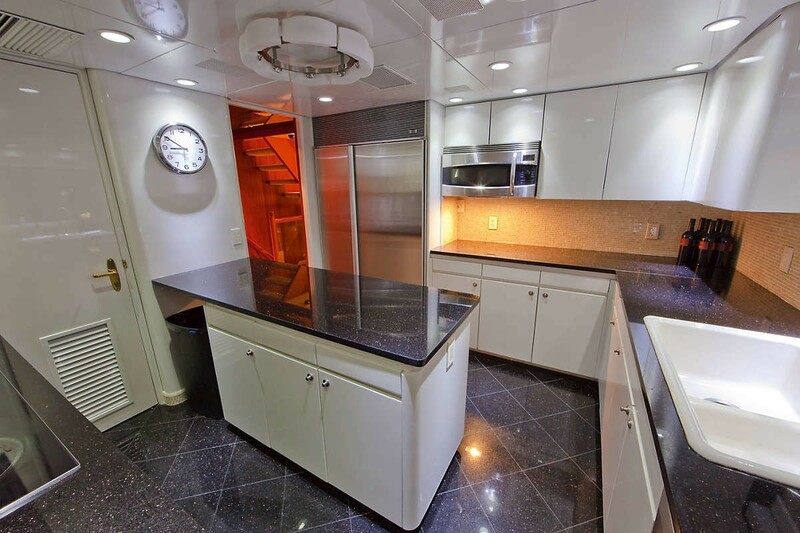 The refitted galley has granite countertops, updated cabinetry and appliances.